History: Sold for scrap 30 October 1950. 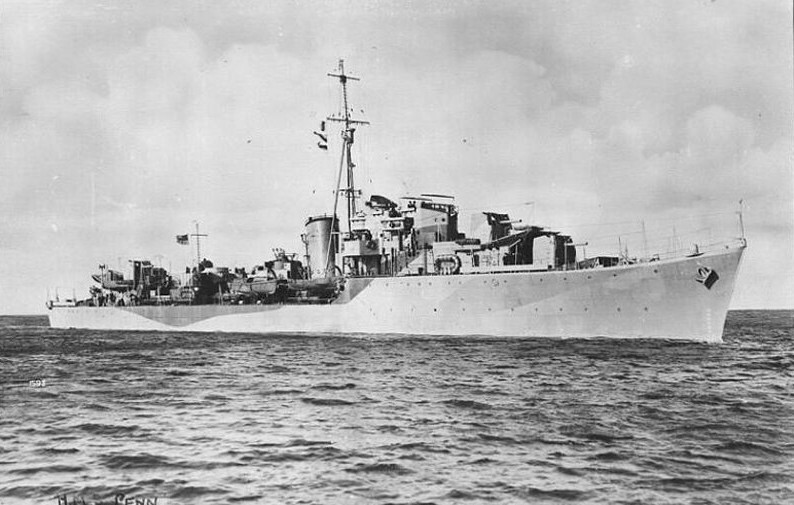 HMS Pathfinder (Lt.Cdr. C.W. Malins, RN) and HMS Penn (Lt.Cdr. J.H. Swain, DSO, RN) sink the German submarine trap GA 45 with gunfire off Amorgos, Greece. HMS Penn (Lt.Cdr. A.H. Diack, DSC, RN) and HMS Paladin (Lt.Cdr. H.R. Hewlett, RNVR) intercept a Japanese landing craft and sink it with gunfire off the north-west coast of Sumatra.